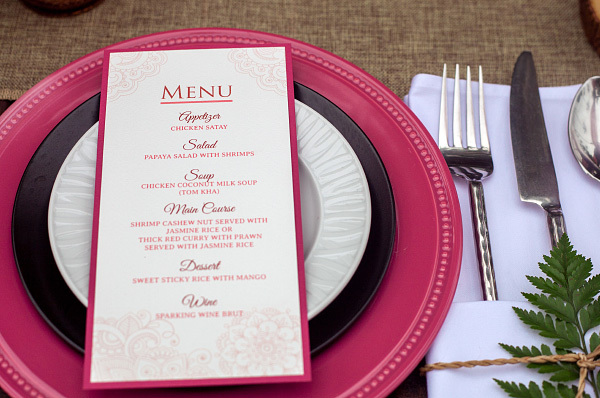 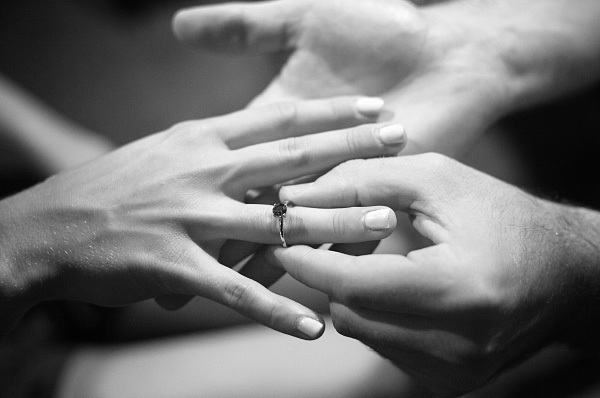 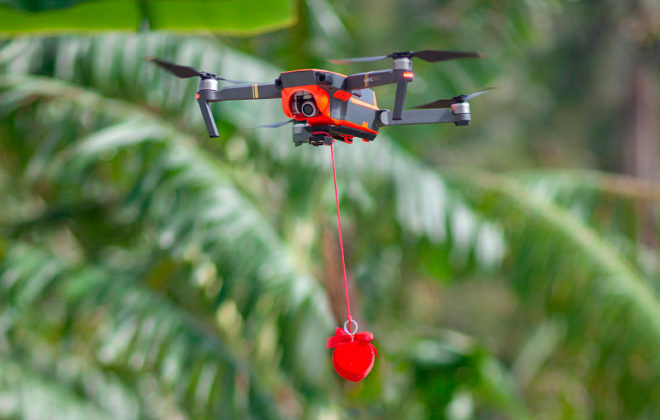 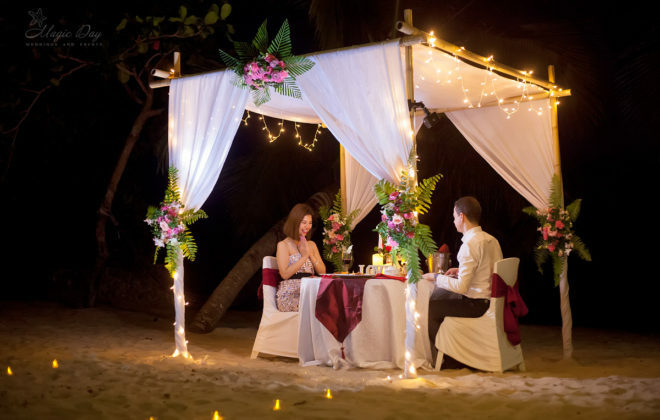 Celebrate a wedding anniversary, Birthday or another reason? 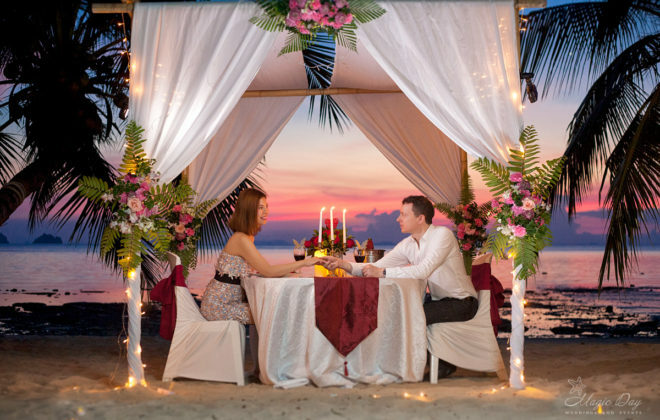 We have prepared a special offer for you! 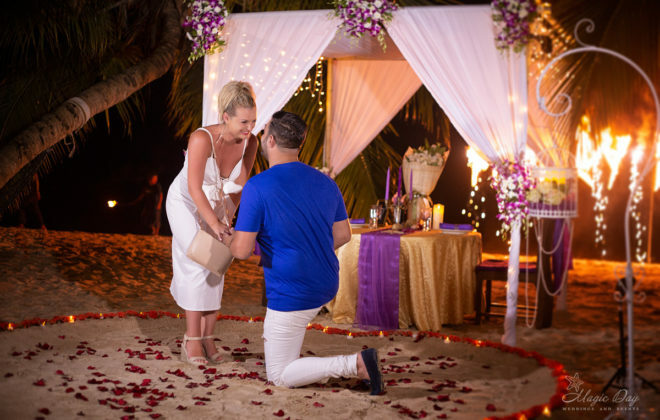 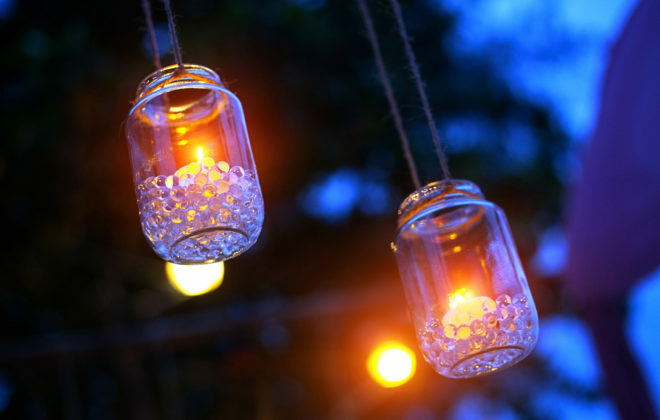 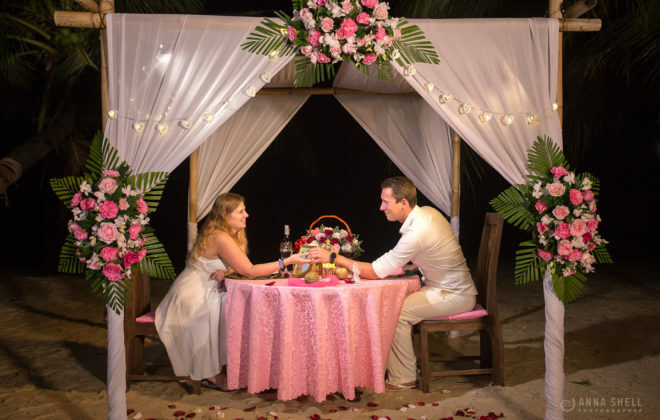 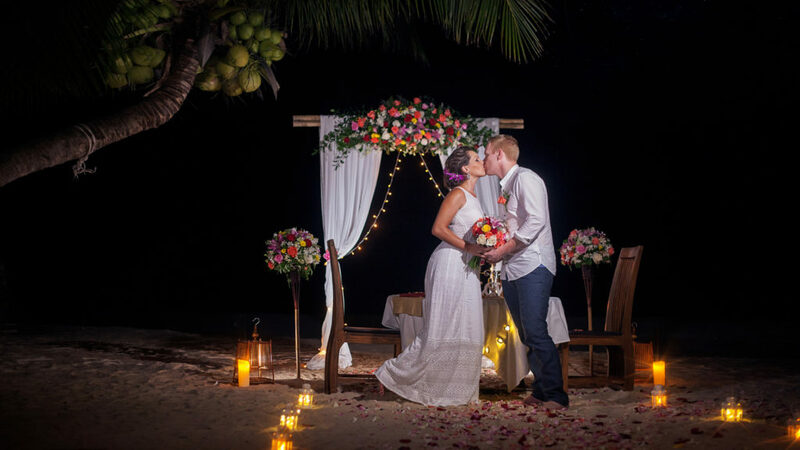 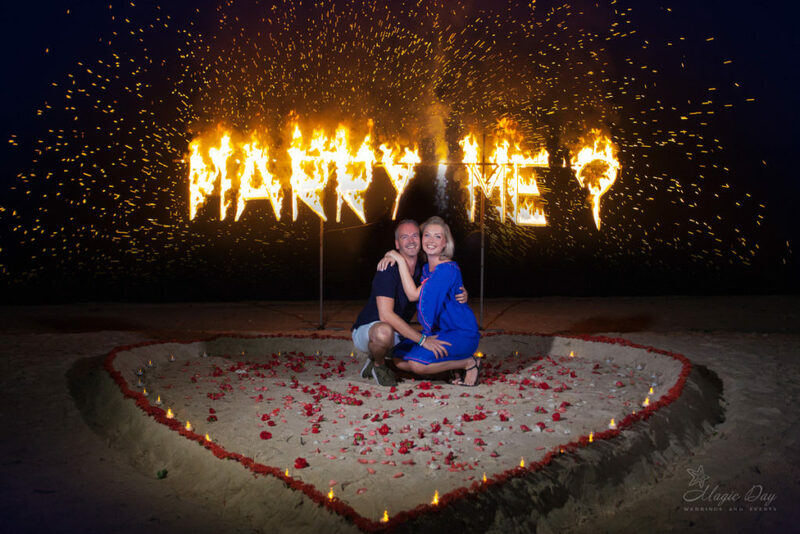 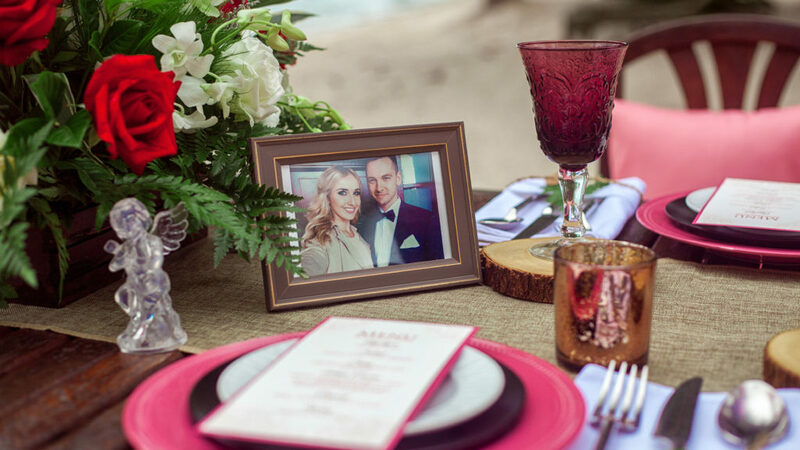 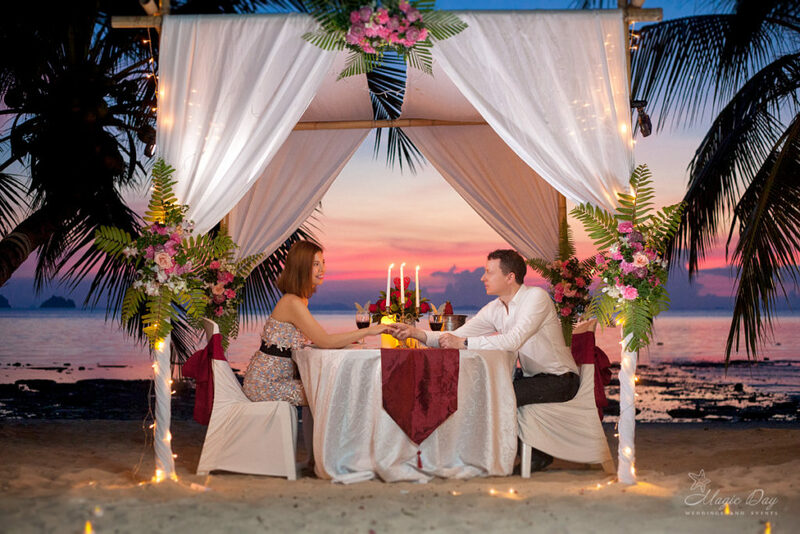 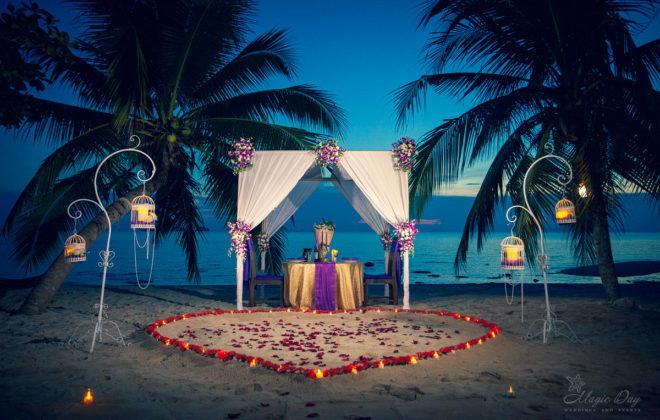 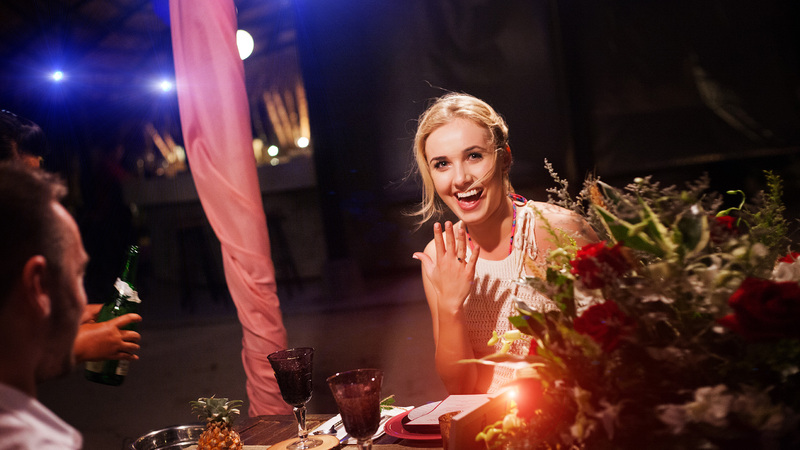 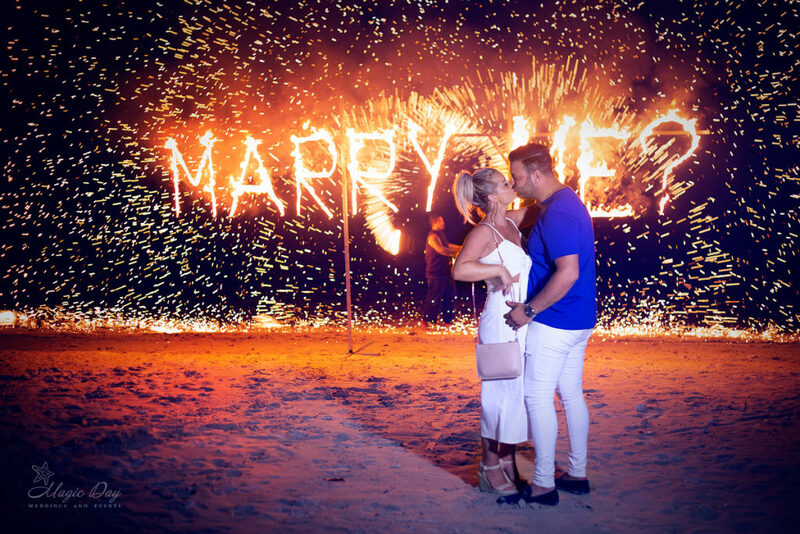 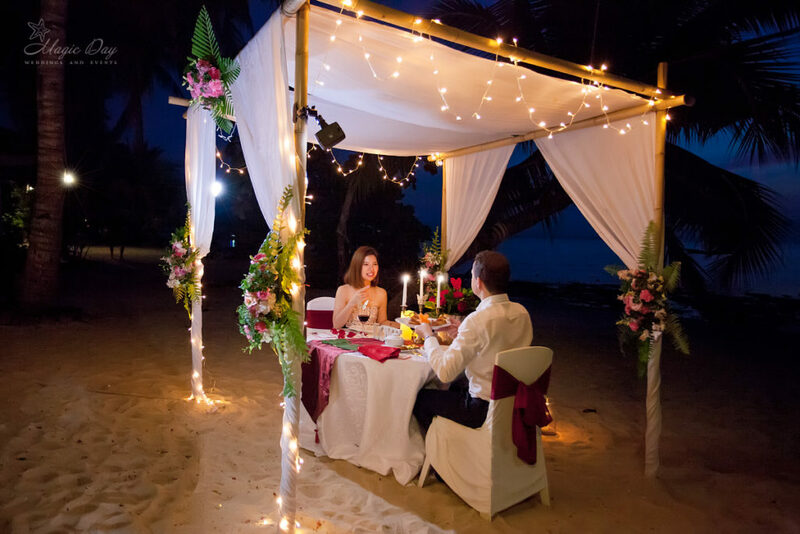 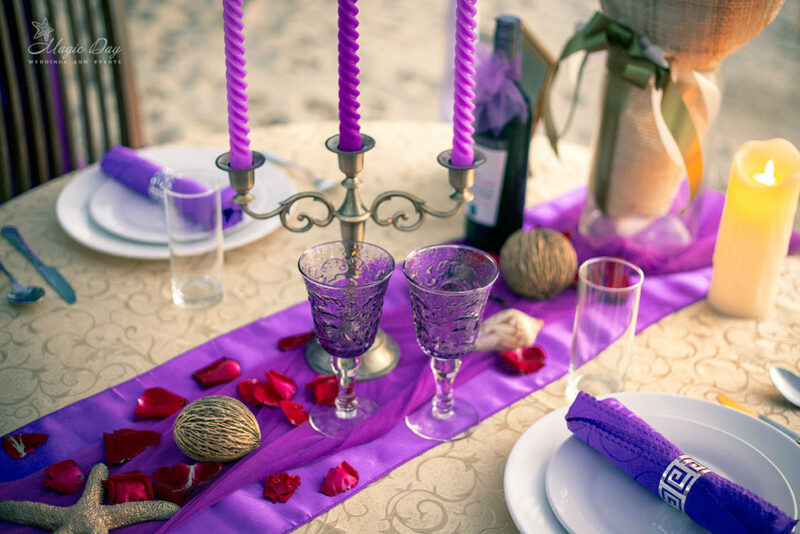 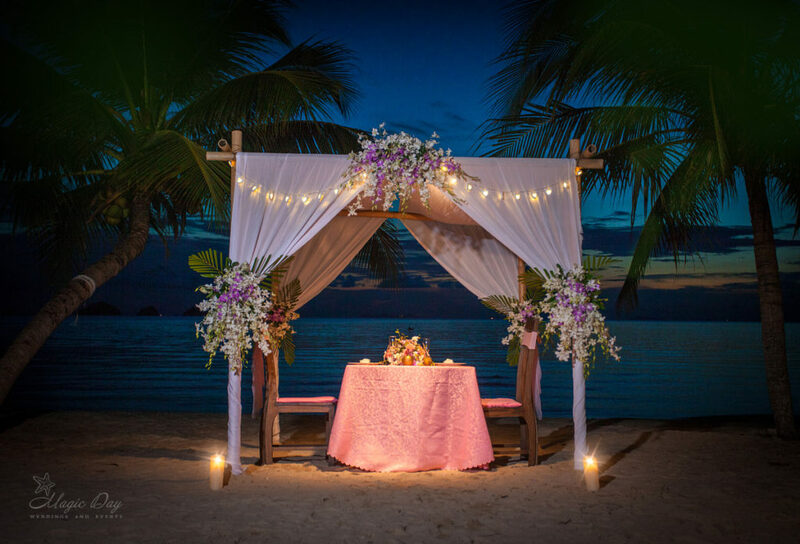 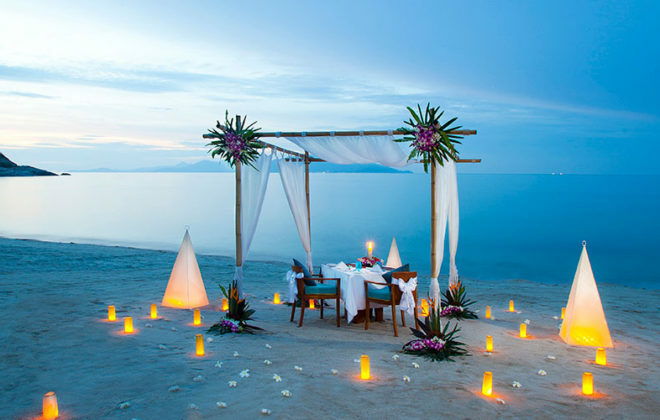 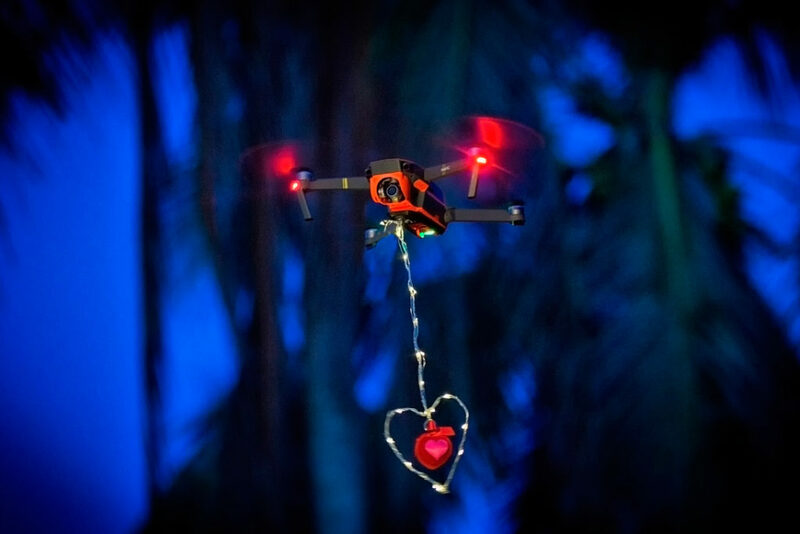 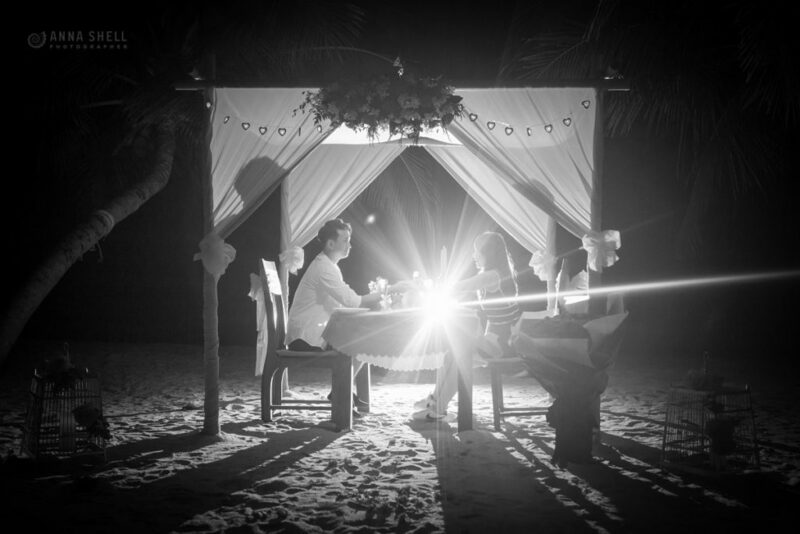 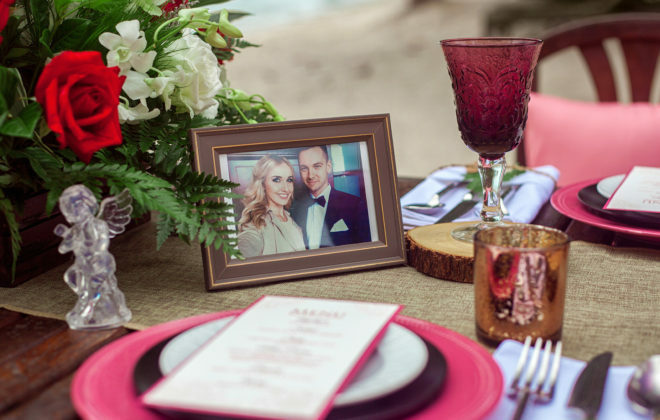 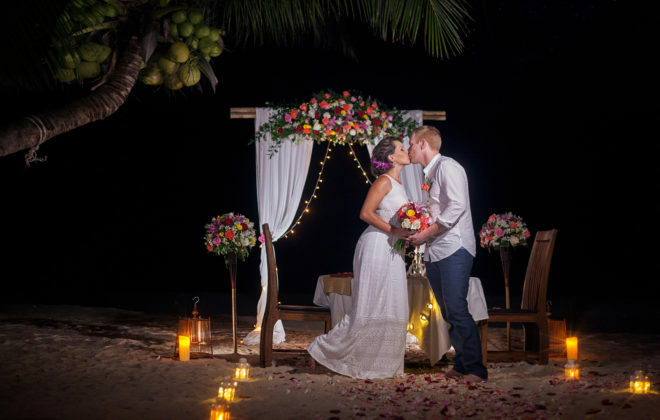 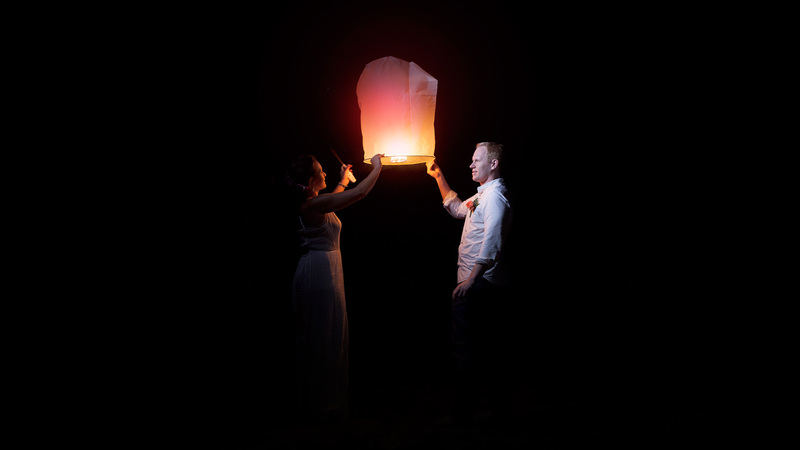 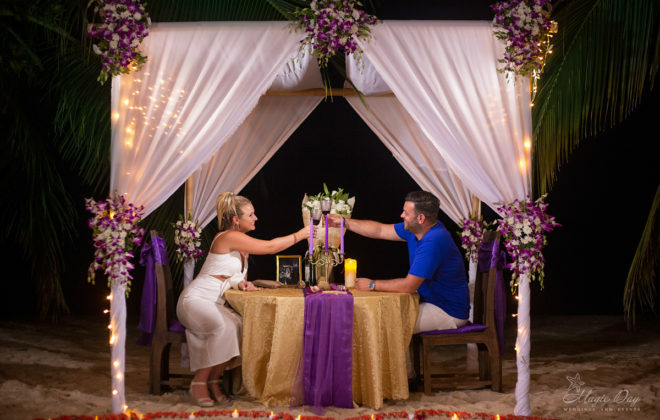 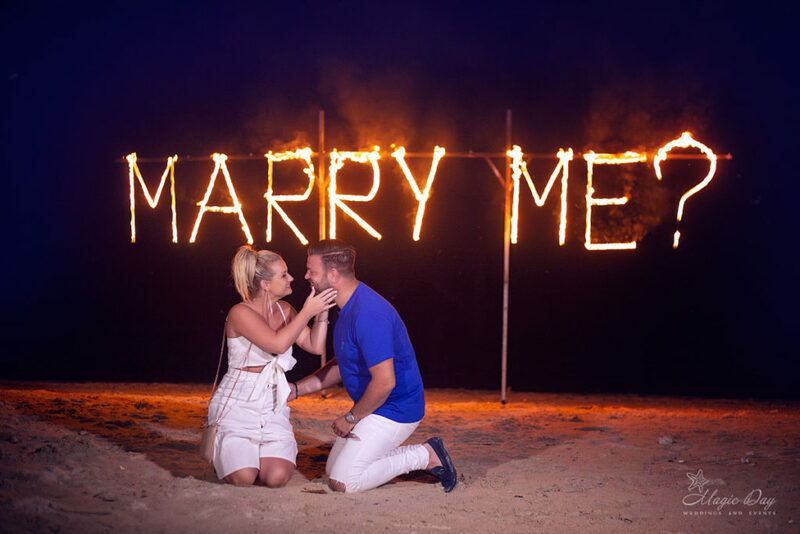 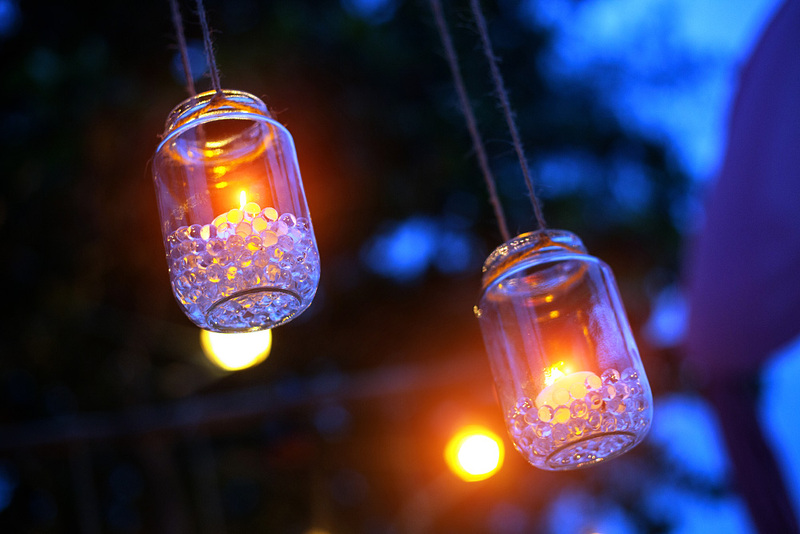 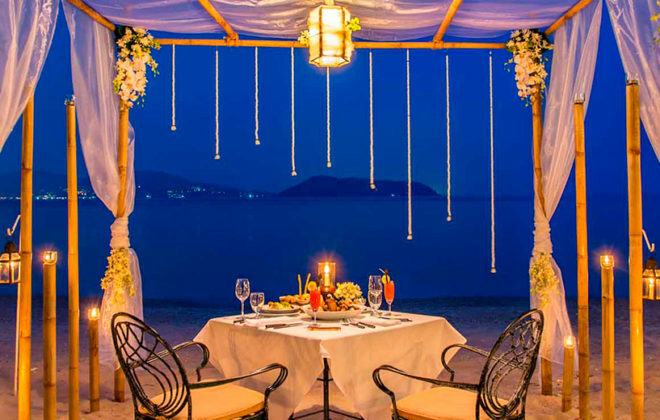 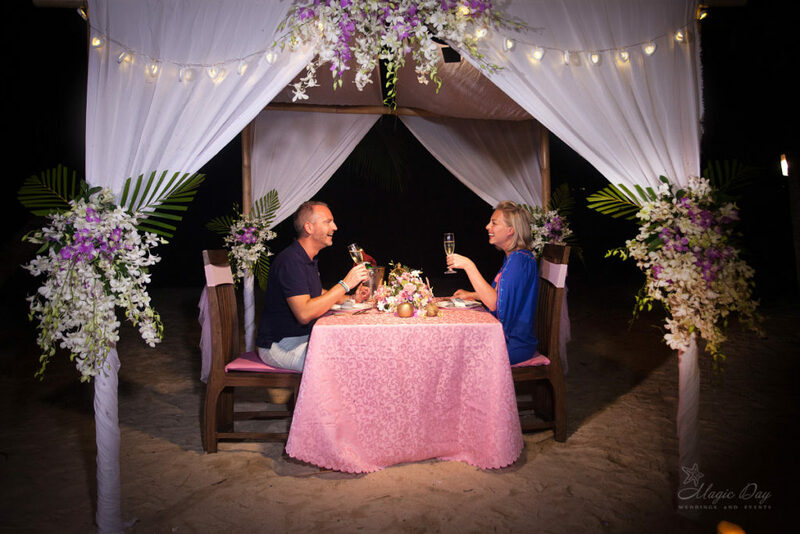 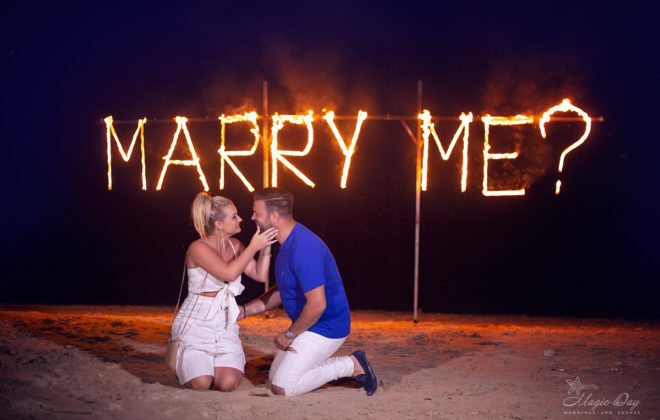 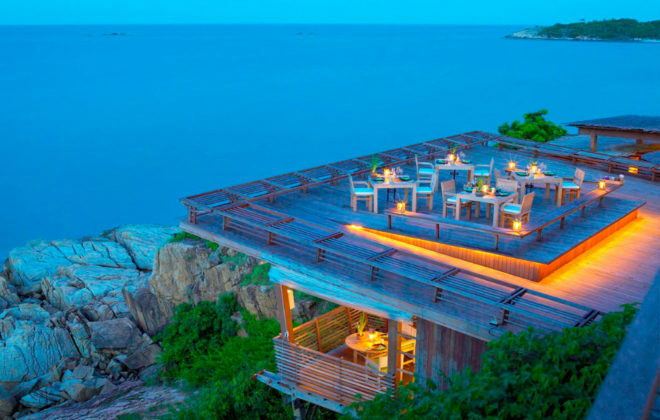 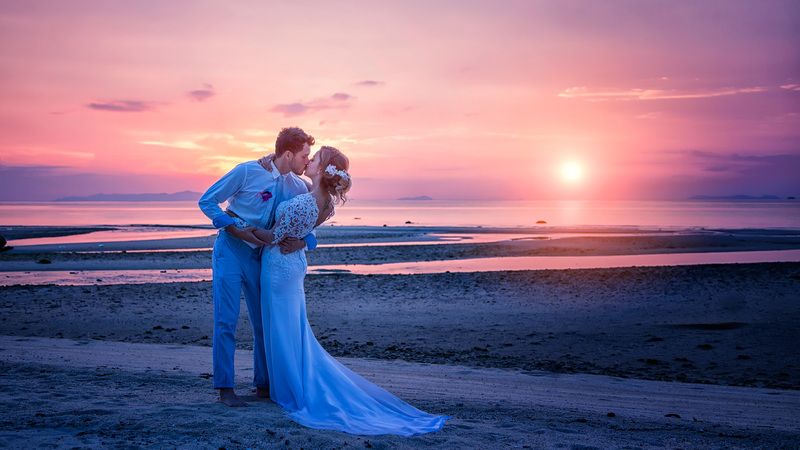 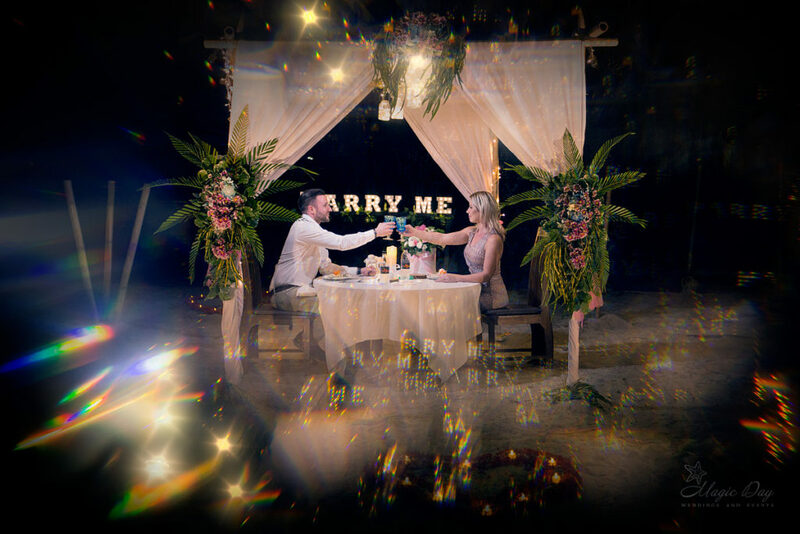 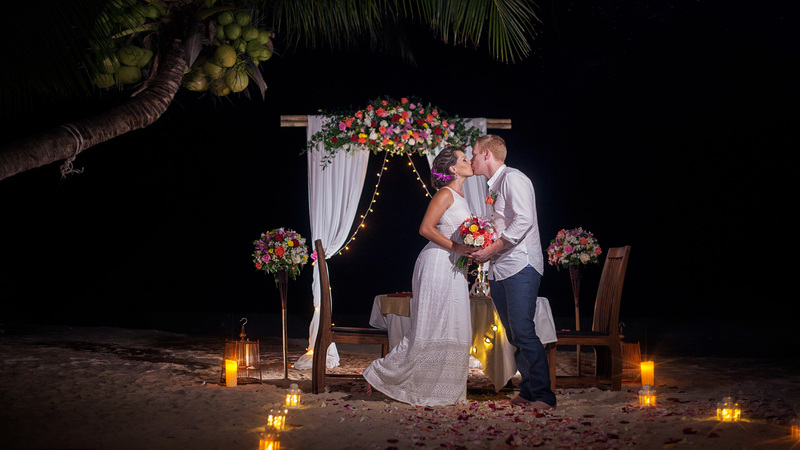 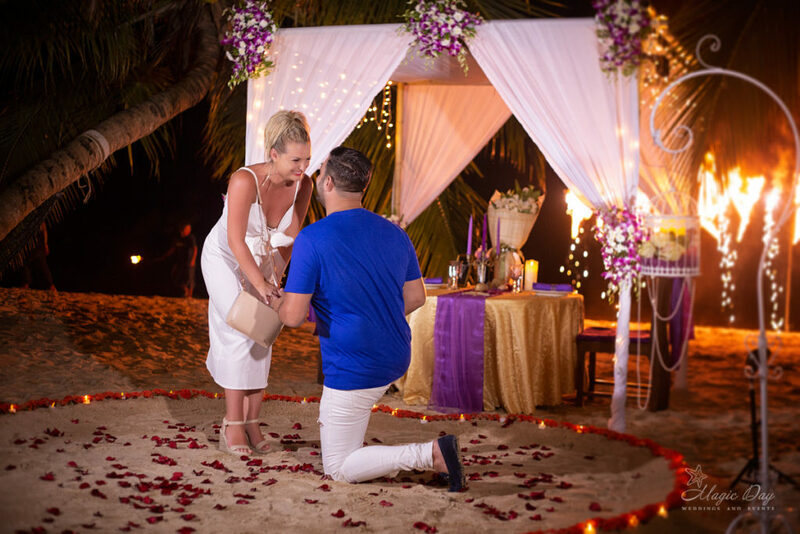 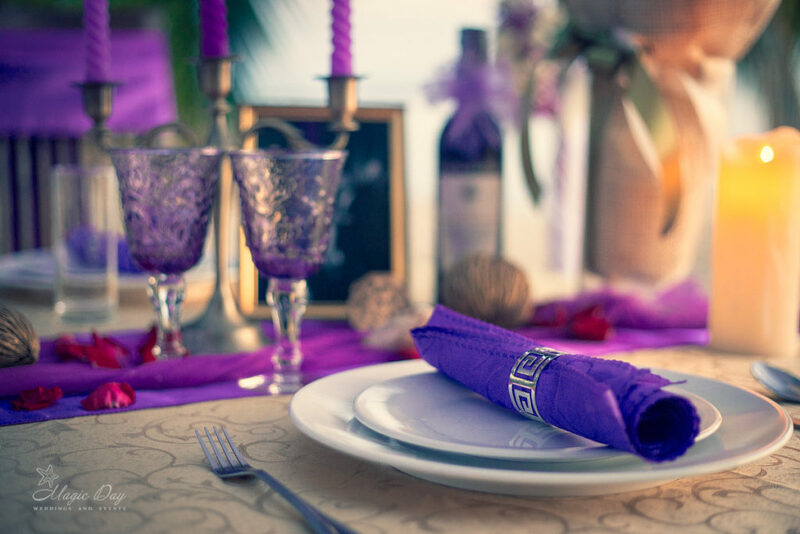 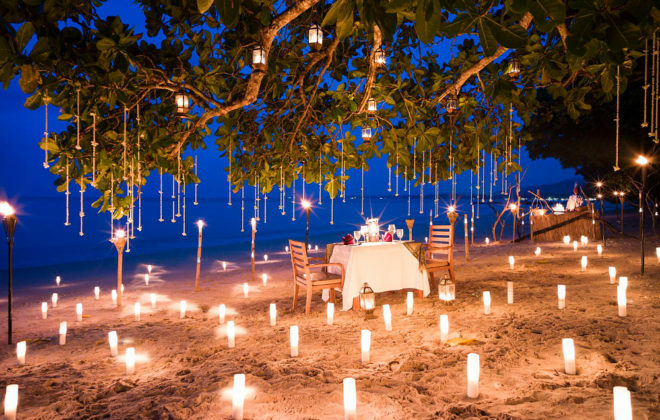 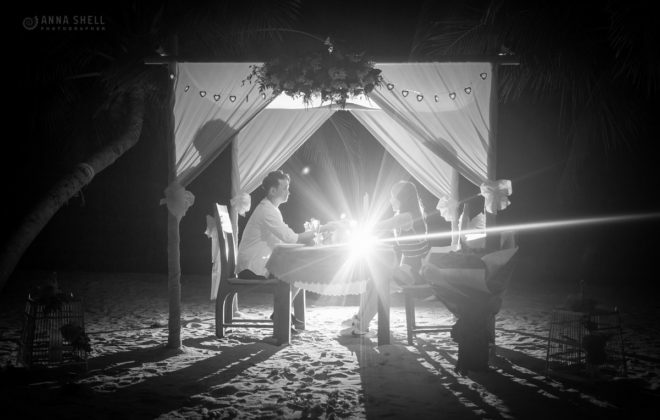 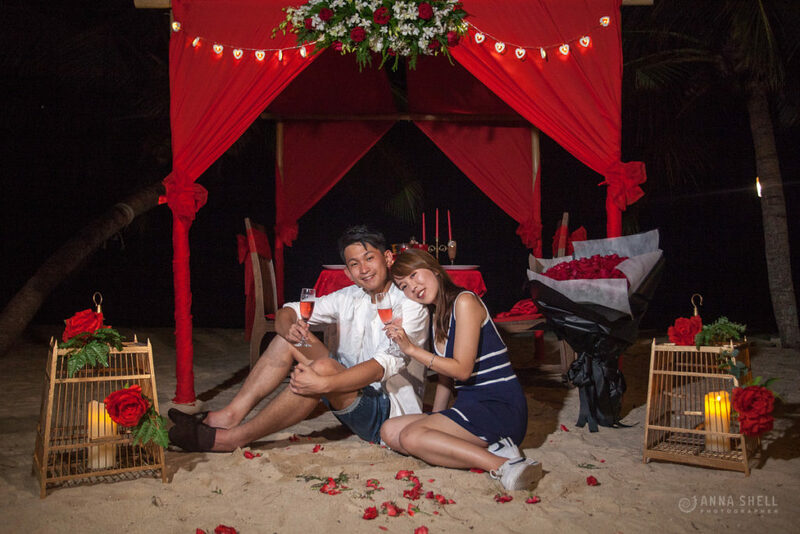 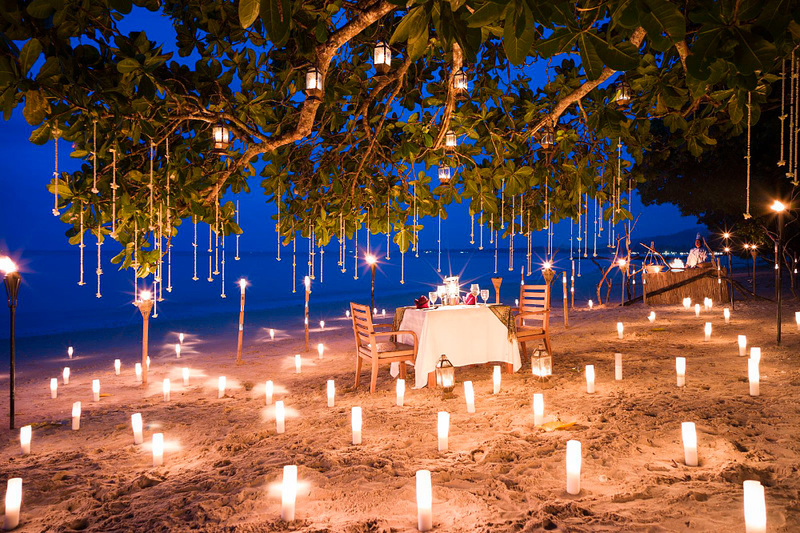 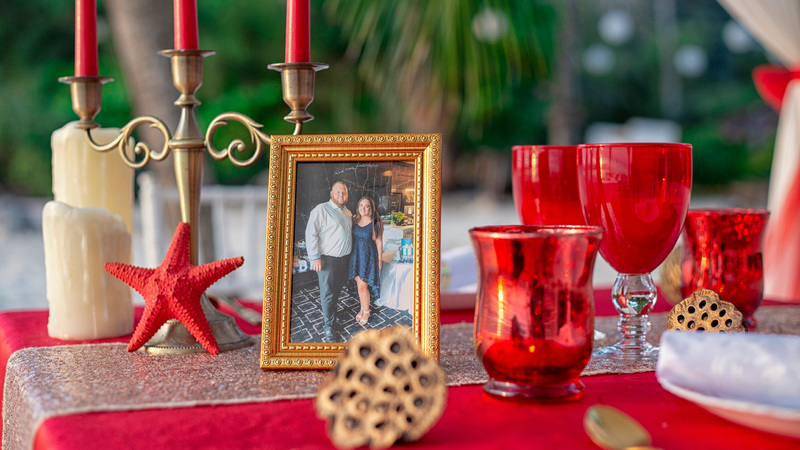 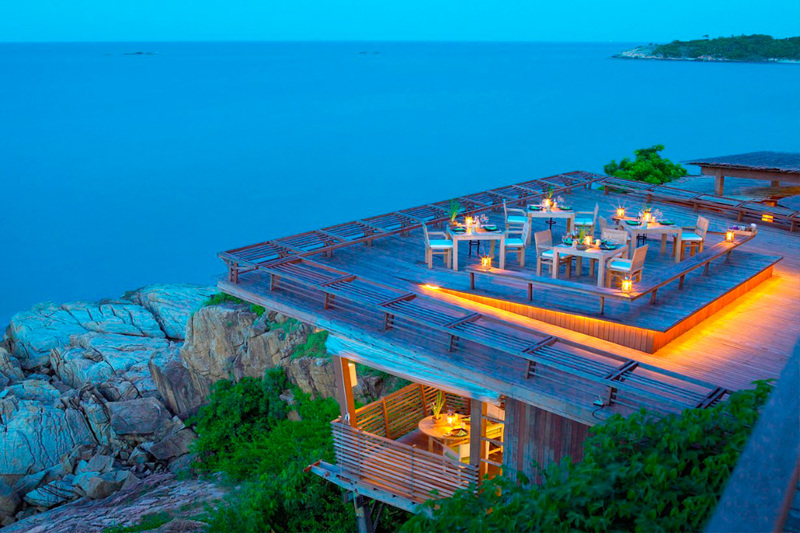 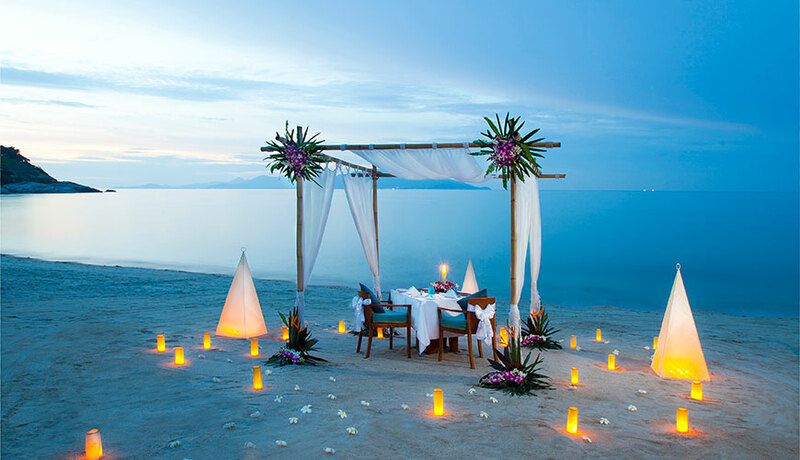 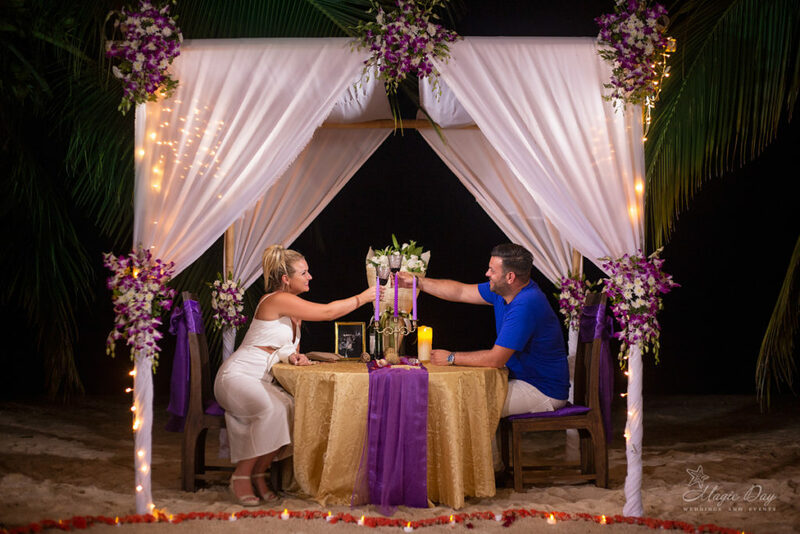 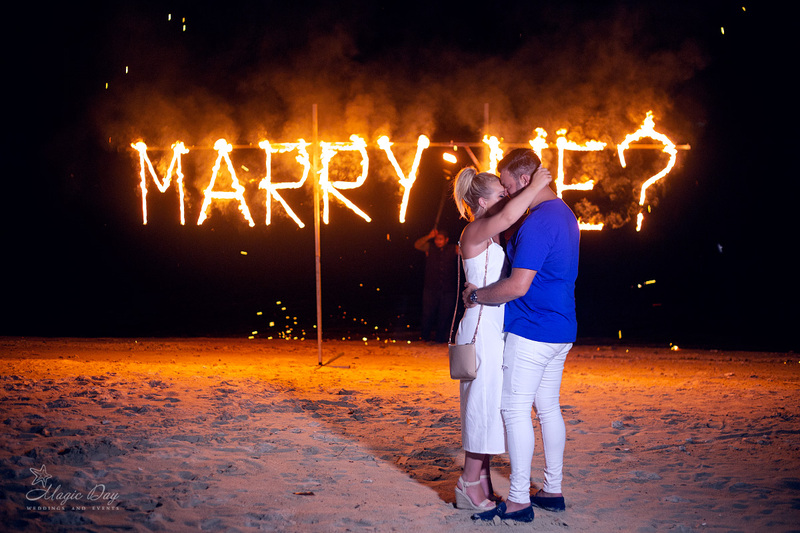 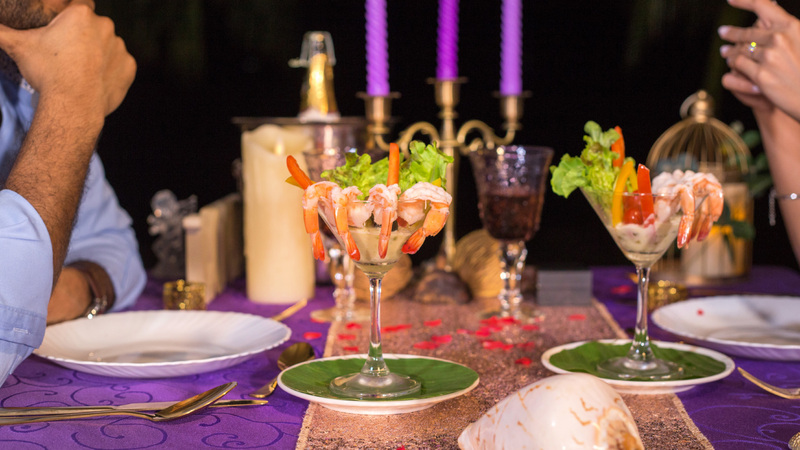 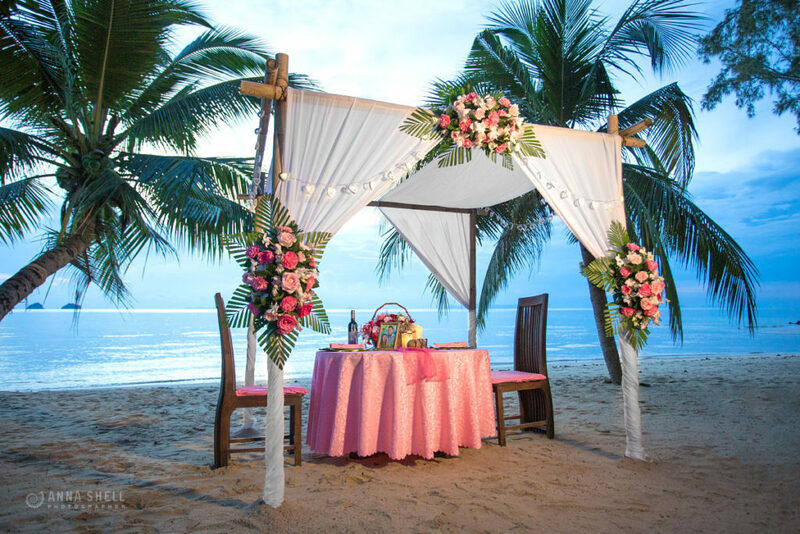 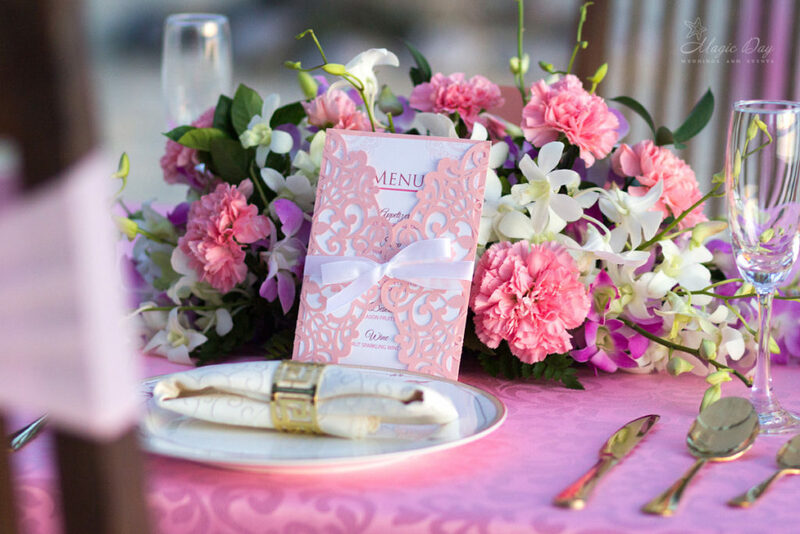 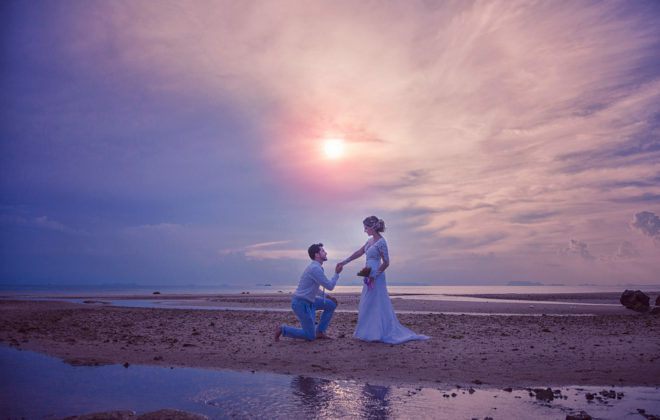 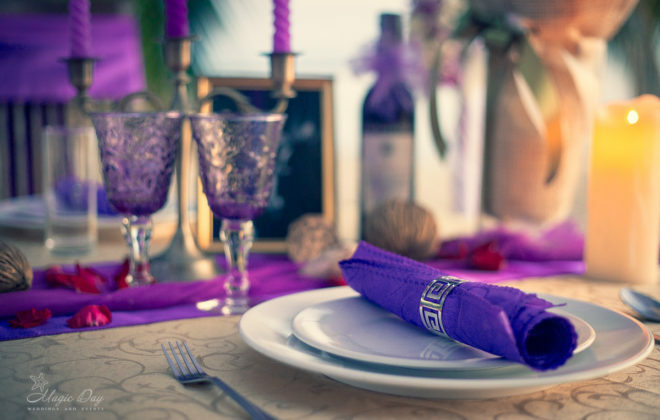 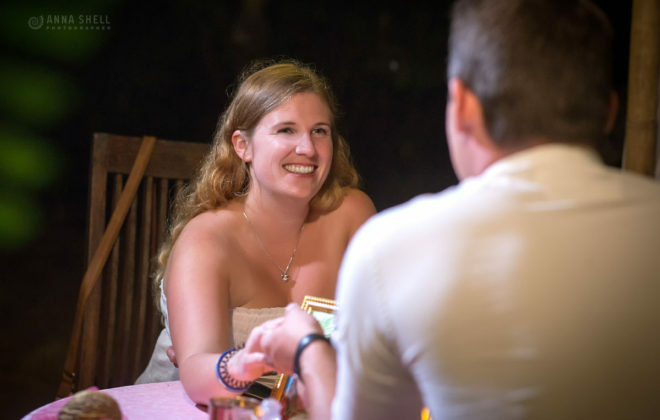 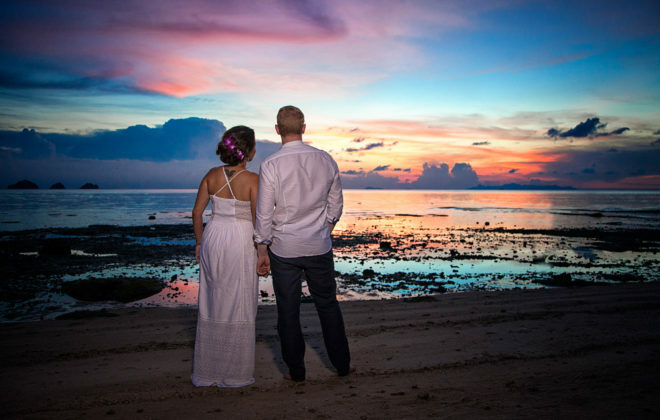 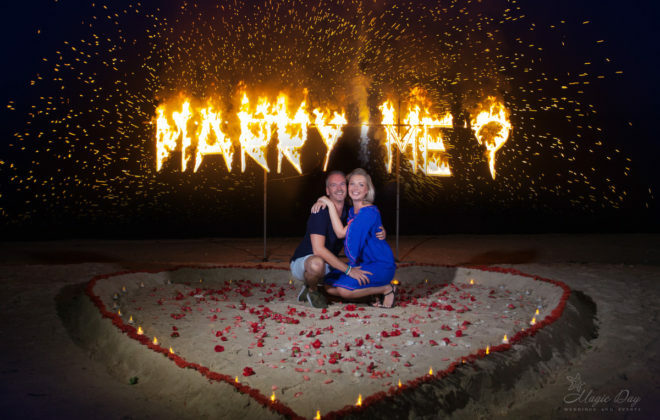 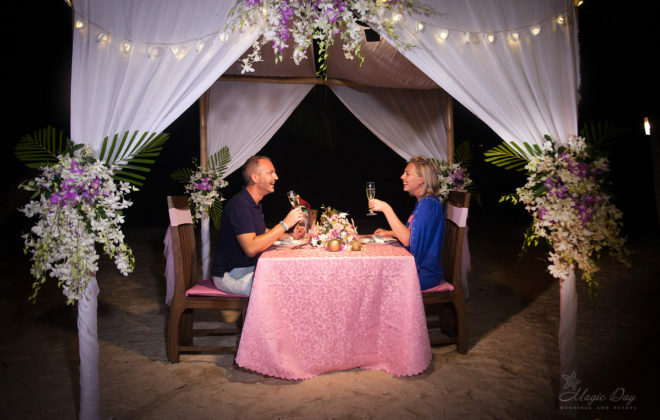 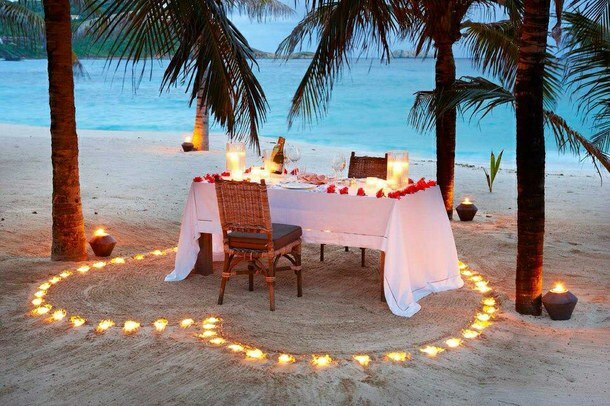 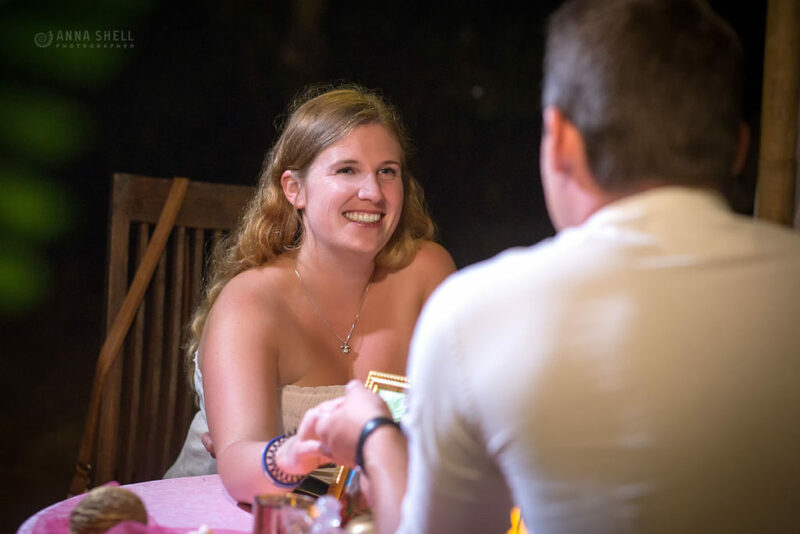 Our Company will be happy to organize candle light Romantic Dinner or Marriage proposal on Koh Samui. 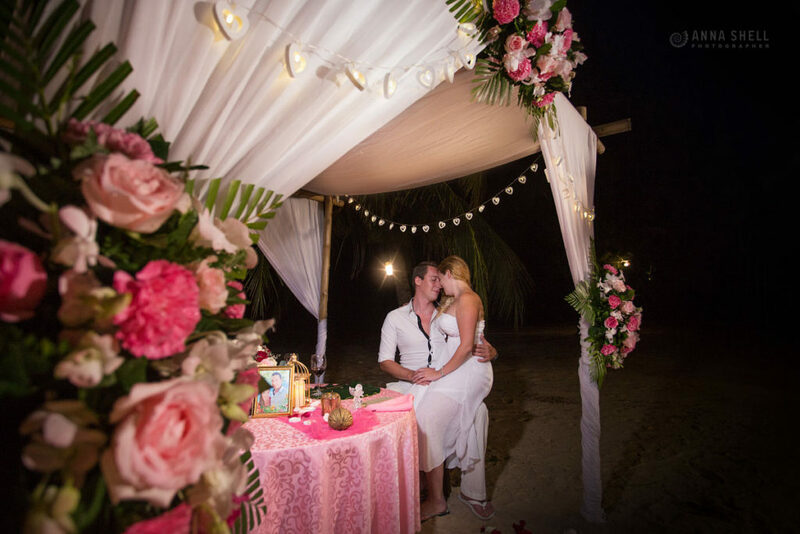 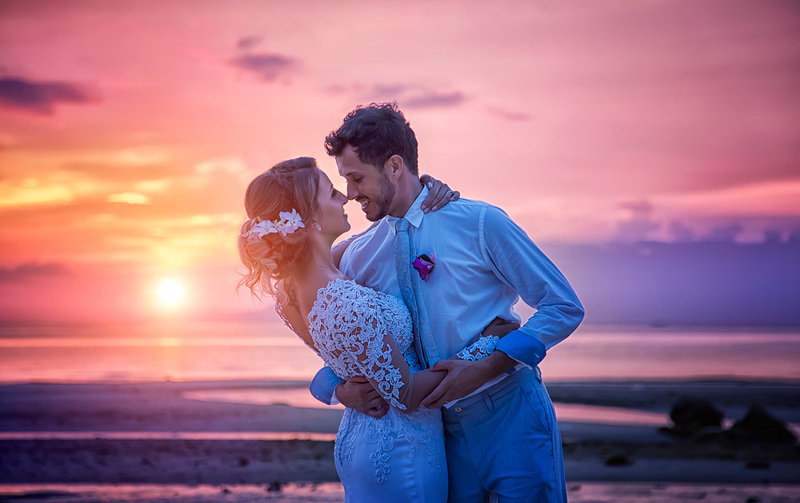 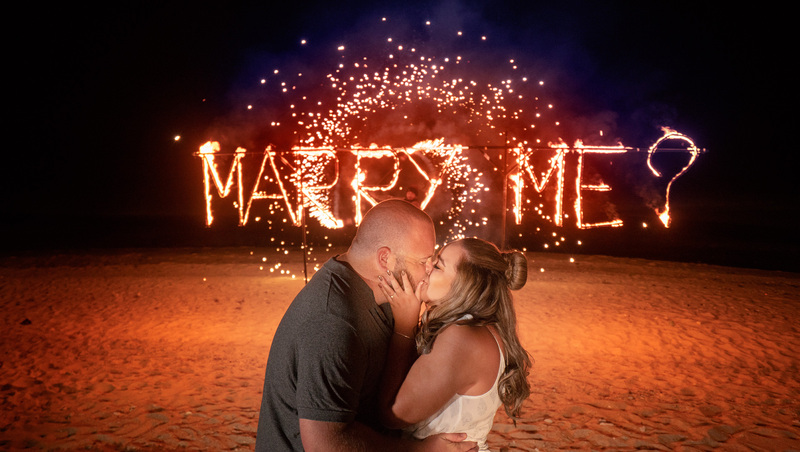 We can offer the best romantic and amazing locations for your celebrate: private sunsets beaches and panoramic view spots. You can order any design of venue and entertainments. 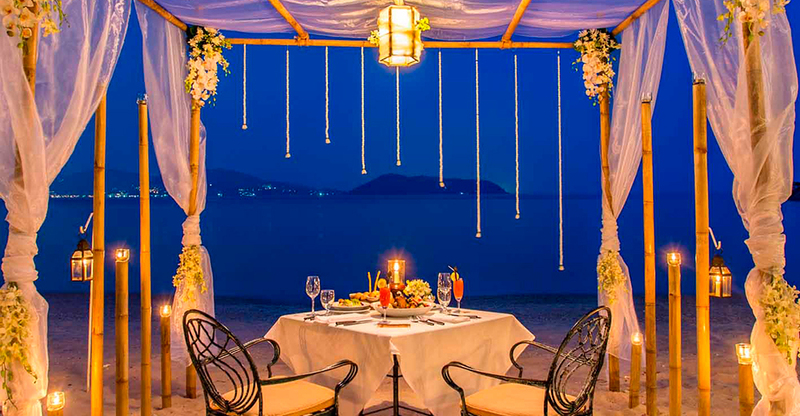 Tell us your wishes and we will arrange this evening for you! 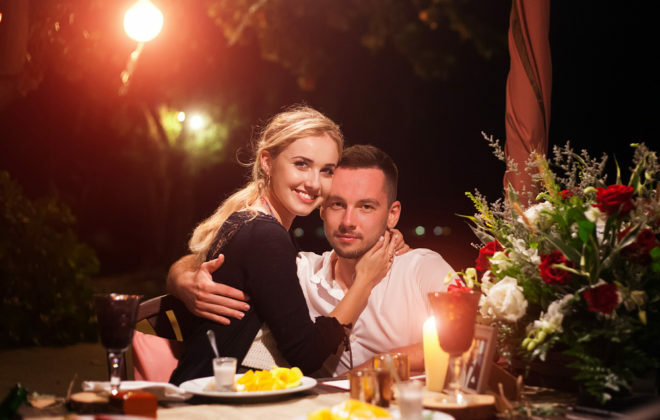 Manager will replay to your request. 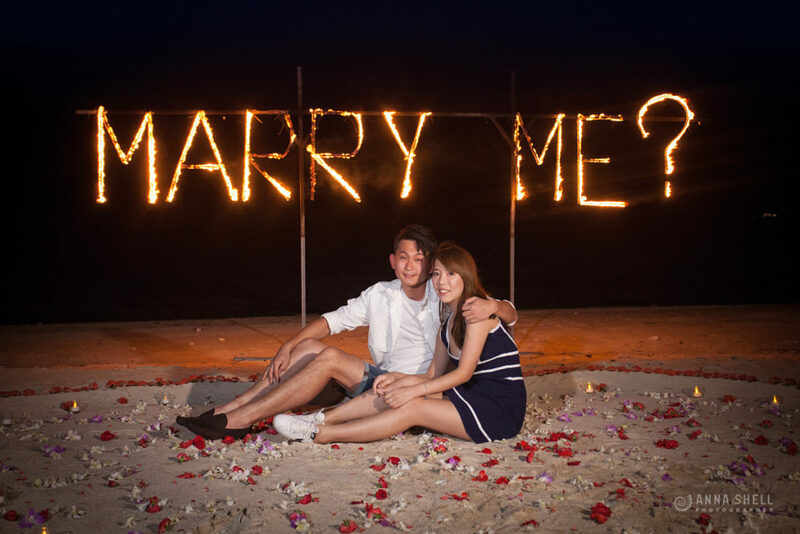 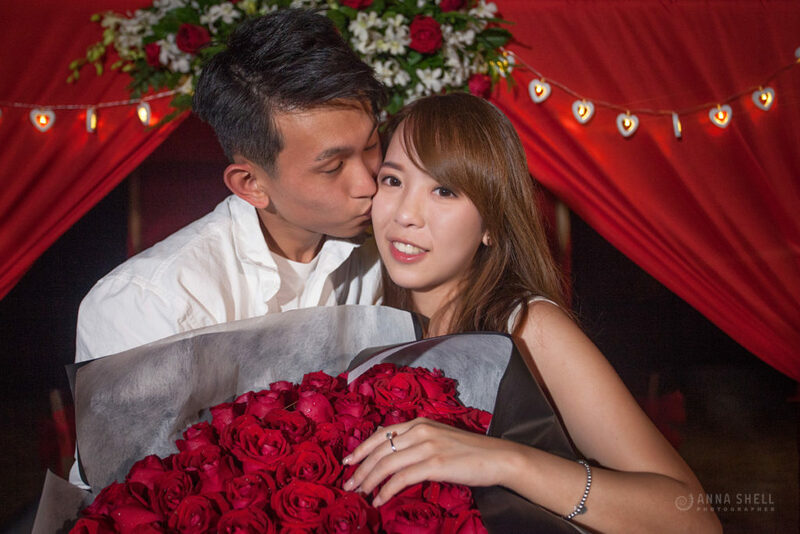 Thanks for all your effort for my marriage propose ! 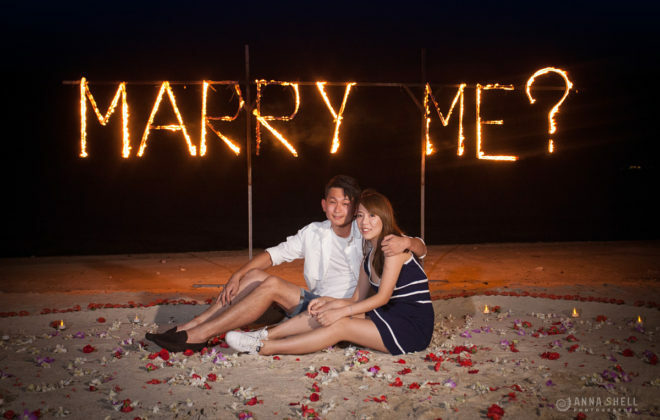 Vivian can't guess during the whole trip until she see the' marry me ' in the beach. 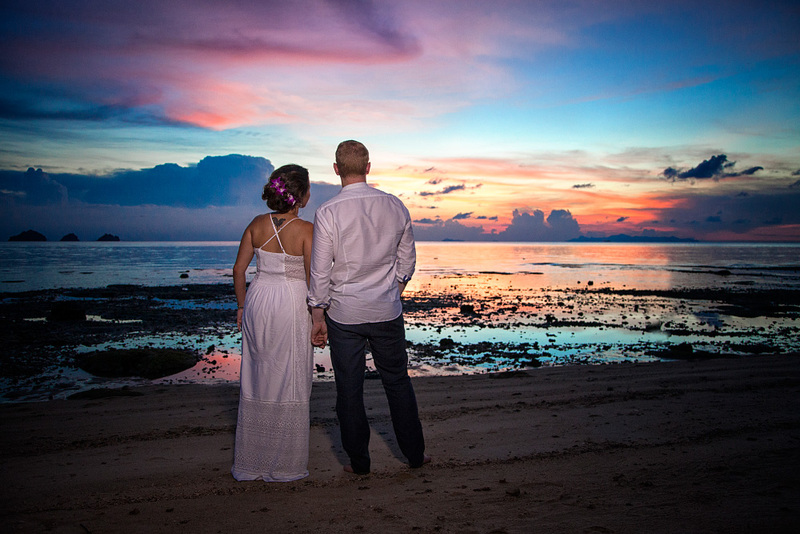 The process went smooth We got a fantastic memory in samui ! 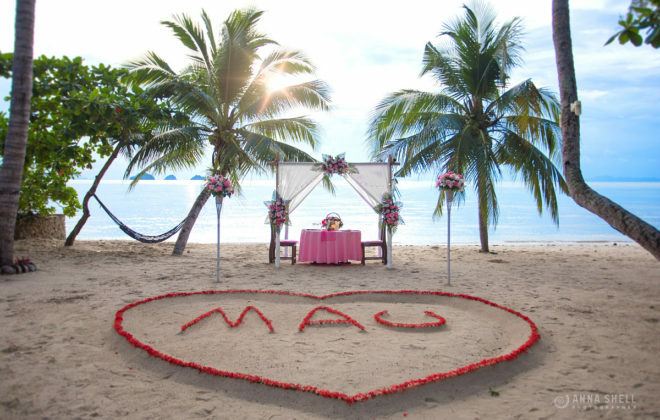 Really thanks !! 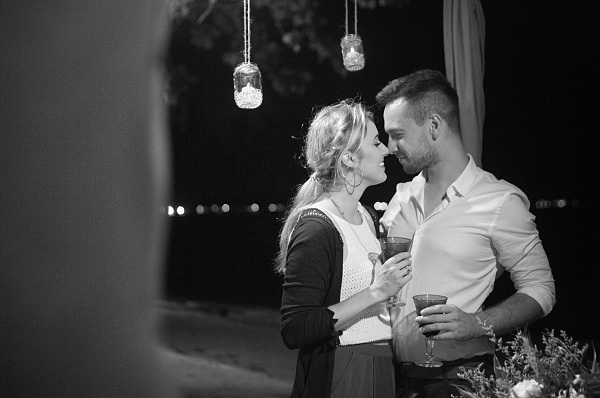 Thank you so much... our familiy is completely impressed!!! 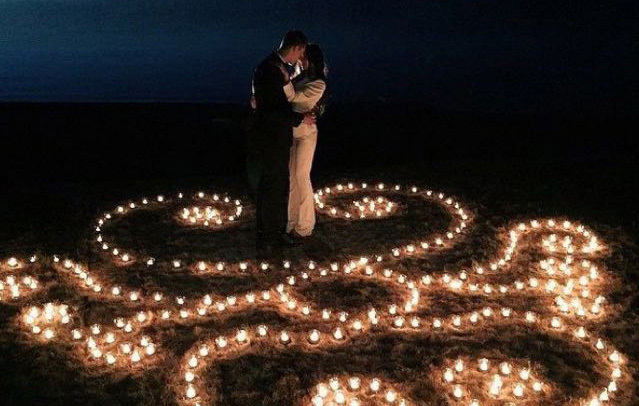 We loved it so much. 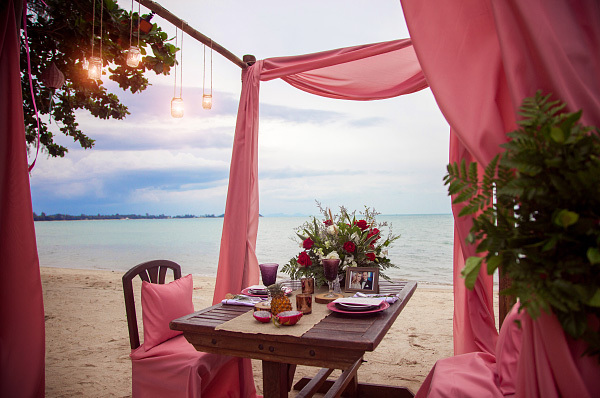 We are back in the Netherlands but we keep on dreaming of Thailand every day. 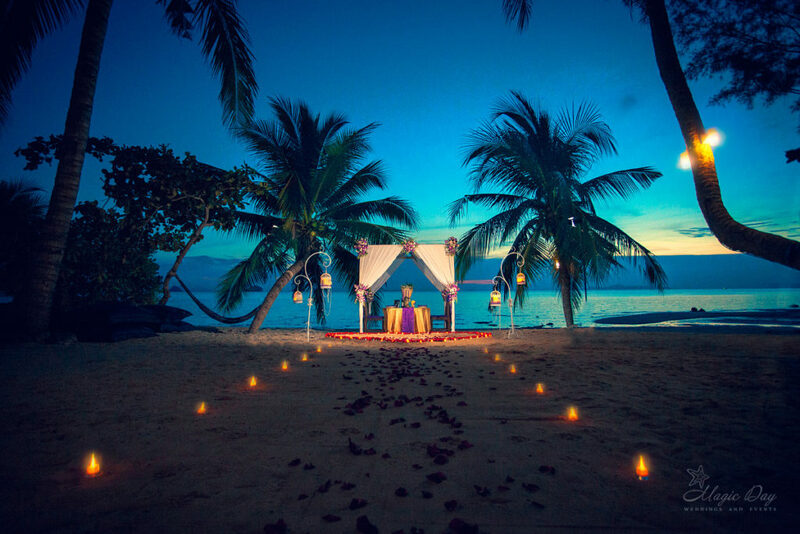 Thanks again it was so beautiful and amazing!